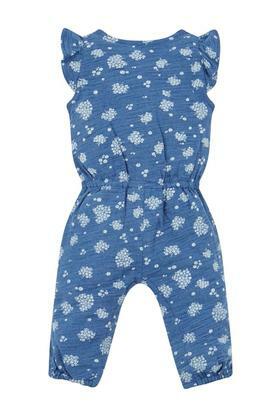 Dress your little one in this chic jumpsuit from Mothercare and she is sure to be the center of attention. 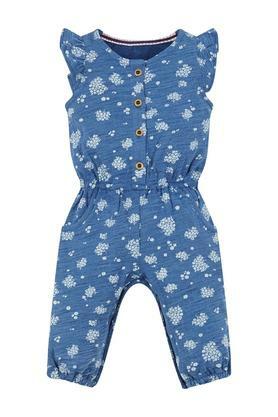 Crafted with a lovely supreme quality fabric and featuring a comfy round neck and cap sleeves, this jumpsuit with floral pattern is attractive. Comfort and style go hand in hand with this jumpsuit, which has been crafted with care. Let your daughter wear it with a pair of ballerinas while accompanying you for any casual outing.